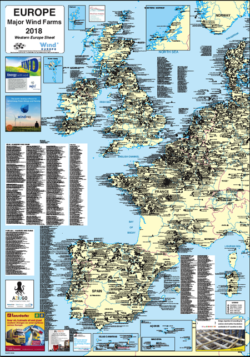 This is a new format for the printed “Europe – Major Wind Farms Map”. 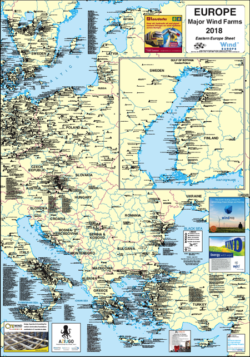 Designed to take up less space the map is printed with Western Europe on one side and Eastern Europe on the other. 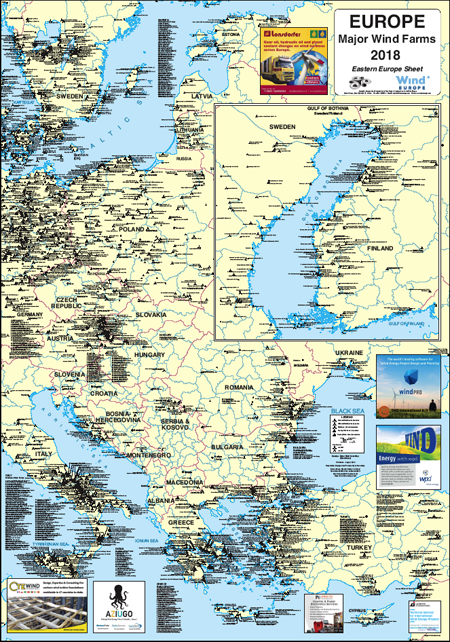 Joined together they show the whole of Europe is another first for La Tene Maps. The map sheet size is 1000 x 700mm and the map shows the location, generation capacity and owner of the all wind farms over 10MW for Europe (20MW for Germany). Smaller wind farms are shown by symbol only. 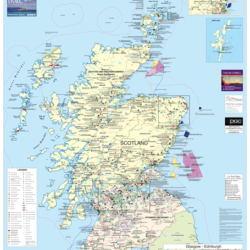 The map shows wind farms in place and those some under construction. Both onshore and offshore are dealt with. 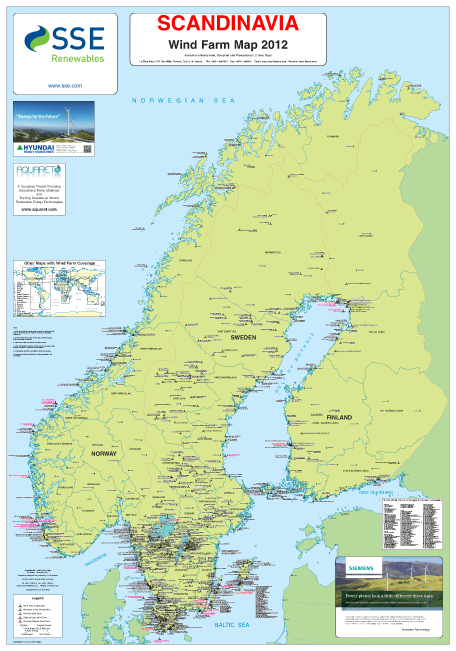 This map is available as a print, digital or pdf file.